Here is a selection of videos of Susi speaking at public events about various aspects of her work. Susi gave one of the keynote addresses at the Conference on Communication and Environment (COCE) conference in Boulder in June 2015. It starts around minute 10. Susi participated in a panel discussion on coastal resilience at the University of California-Santa Cruz's 2015 Climate & Policy Conference. It's worth listening to the whole event, but her initial remarks start at minute 25. In this podcast, Susi and other colleagues speak to the adaptive challenge that sea-level rise poses to everyone living and working on the coast. Susi was invited to give the opening keynote address at this biannual meeting. After a few introductory remarks, her speech begins around minute 35. The presentation slides are available here. In November 2014, Susi co-lead a workshop on social transformations to sustainability in Potsdam, Germany. This video clip offers some highlights. 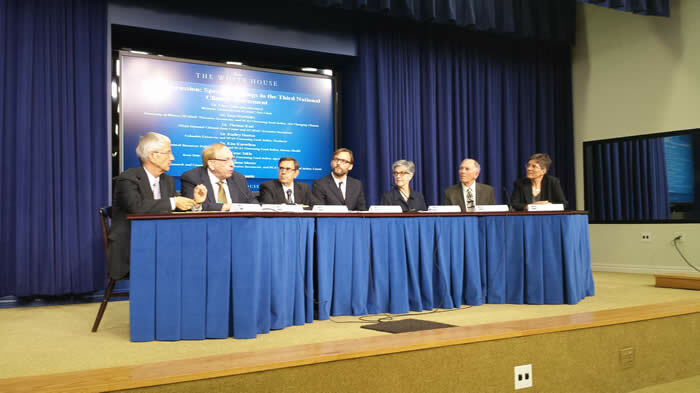 On May 6, 2014 Susi hadthe priviledge of participating in an event at the White House, speaking about coastal vulnerabilities and responses to the impacts of sea-level rise. Susi participated in a webinar with others involved in the NCA and other communication experts on how to communicate the assessment findings. A conversation about climate change communication challenges with Richard Alley, moderated by the Yale Forum's Bruce Lieberman. Susi was interviewed by Stanford University students for Governor Brown's video project, explaining how climate change is not just a global issue, but also a local one affecting Californians now. Susi participated in an event on how climate change affects insurance matters on June 28, 2013 in Pasadena, CA, The event was sponsored by the Union of Concerned Scientists, held with California Insurance Commissioner Jones and hosted by California State Senator Carol Liu. Susi was interviewed by Yunfeng Zheng together with her friend and colleague, Dr. Anthony Leiserowitz, during a climate change communication conference in Beijing. Listen to it here (the segment with Susi starts around minute 12). 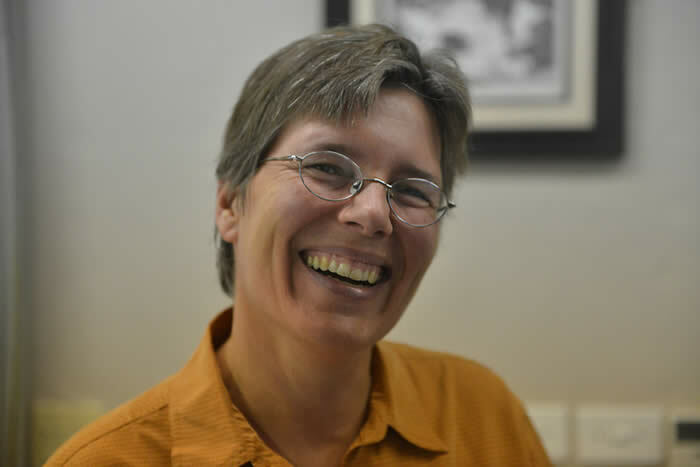 Susi was one of several scientists interviewed in the video In Harm’s Way, which accompanies the IPCC’s Special Report on Managing the Risks of Extreme Events and Disasters to Advance Climate Change Adaptation, November 2011. Susi was interviewed by the Canadian Radio Ecoshock about her publication about environmental leadership in a time of climate change ("Getting Real About It"; you can find it here). Listen to it here. Susi participated in a Congressional briefing organized by the American Meterological Society (AMS) on the state of adaptation to climate change impacts in the US in January 2010.